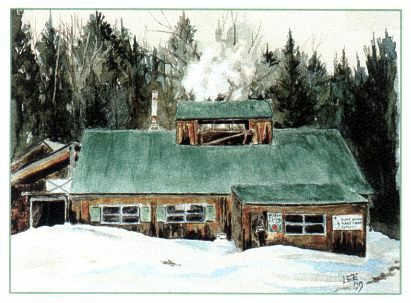 Gail and her husband Kent and their friend Dennis all make maple syrup in the spring. 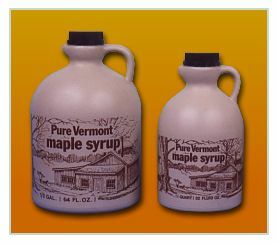 It takes 40 gallons of sap from the maple trees to make 1 gallon of maple syrup. 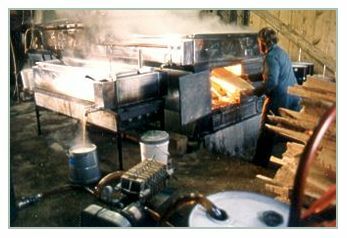 The sap must be boiled for hours to become syrup. 1998-2018 ©Gail Gibbons. All Rights Reserved, Unauthorized Reproduction or duplication prohibited.